If you’re feeling angry…blame your serotonin. Recently in the November 2012 issue of the O Magazine, Dr. Oz discussed Mood Foods and how reaching for the right snack can change your day positively. Platains is one of those foods. Plantains are a type of sweet banana that are more often cooked than a traditional banana. 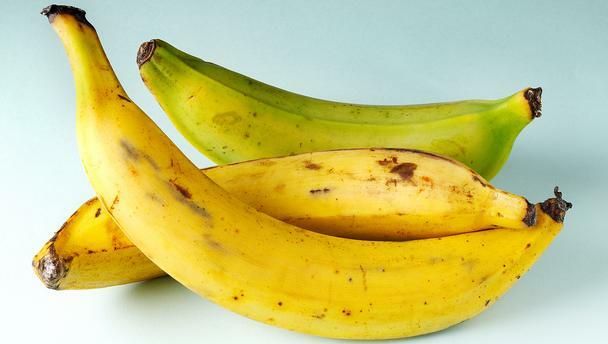 According to the Produce for Better Health Foundation, plantains are utilized in dishes in Asia, South America, Central America, Africa, India and the Caribbean. Like regular sweet bananas, plantains contain vitamins and nutrients that can help prevent diseases when utilized as part of a healthy diet. Bananas like plantains contain beta carotene, a type of vitamin A that is contained in carrots. The World’s Healthiest Foods reports that plantains also offer vitamins C, B1, B3, B6, B12, K, and folate. Minerals include iron, magnesium, potassium, zinc, iodine, phosphorus, chloride and selenium. My favorite way to prepare them is to fry them up. I also like to boil them too. They’re sweet either way and very easy to prepare. My kids eat them with their breakfast or dinner. Sometimes we take for granted the foods we consume daily. Just this morning I fried up two plantains for my children, and they couldn’t wait for it to come out of the hot oil. Here’s a two minute YouTube video I found that shows you how to prepare it like this. Well, according to Dr. Oz Platains have one of the highest serotonin concentrations around (30 micrograms per gram). Their cousin, the banana, also packs a powerful punch so when you’re angry, annoyed, or irritated, blame your serotonin. If you want to boost your mood, fry up a plantain or two. To check out more of Dr. Oz’s Mood Foods click here. You’ll be surprise to learn how powerful these foods can boost your serotonin naturally.